Summer Festival: Beat your own drum! Once again, my wife volunteered to be a member of the Ai-go-kai (愛護会, literally “love protection association,” but basically the PTA…without the T). So she had lots of meetings on random Saturdays leading up to the festival itself. Of course the teachers are there—they help organize the opening and closing performances, and even have their own dance routine and/or cosplay of a folk tale or movie scene (this year they did Peter Pan, complete with flying fairies and Captain Hook with a gigantic metal hook). But the parents are in charge. At the start of each room, the kids get a stamp on a card (the “stamp rally” that is so popular even with adults) and at the end of the event, they all get a prize. No winners or losers, no competition, just fun. Food is available (if you paid ahead of time) in the form of “pizza toast,” “almond toast,” and “zeri” (gelatine). Free frozen tubes of sugar water (which we used to call “pops” when I was a kid) are available for all kids. Yes, the place was packed with about a hundred hyperactive 3 to 6 year olds, all on a sugar high. Ear plugs were not provided. At the end of the day, there were two more performances. 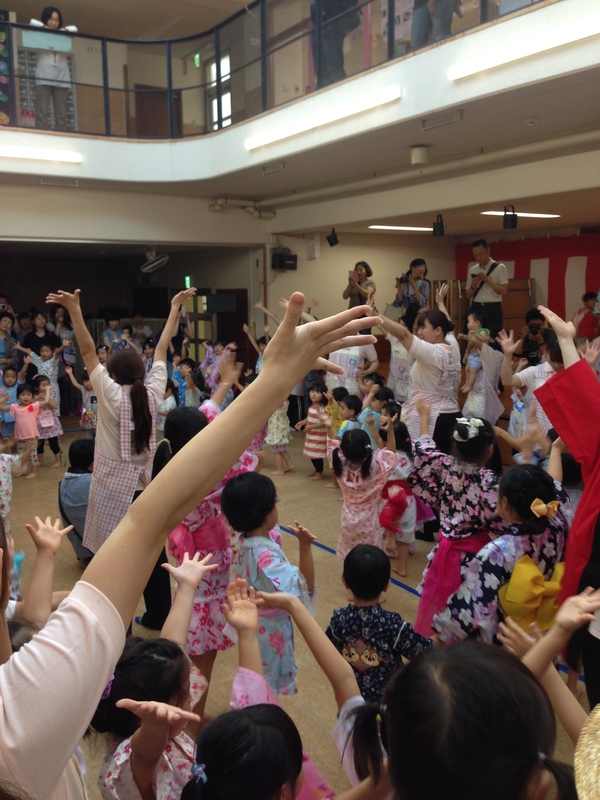 Both were odori (traditional group dances), but while the first one was done by parents and teachers (mostly), the second was a local dance and everybody, young or old, was encouraged to join in. 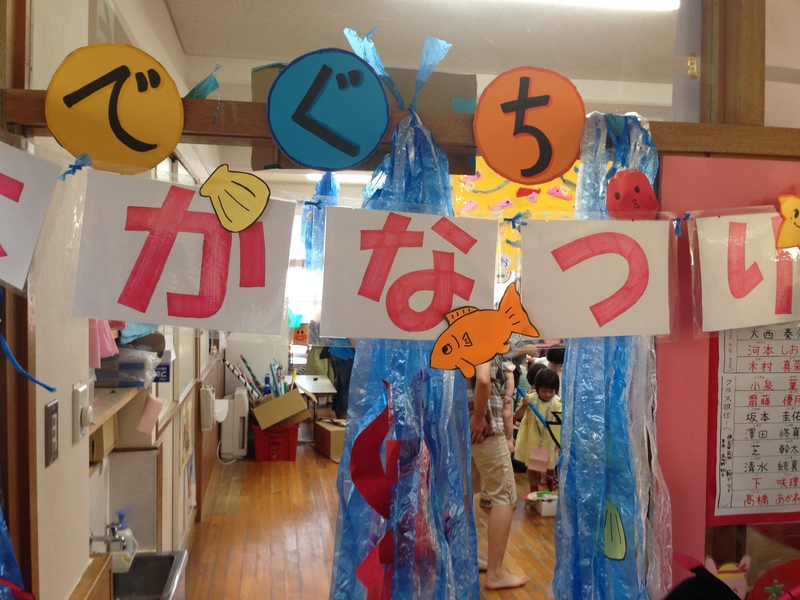 To me, this surely shows the inclusive character of Japanese local culture: the school is the center of community life. It starts at age 0. This entry was posted in education, festivals, Japan, Japanese culture, Japanese society, parenting, school, summertime and tagged Anpan, child care, child education, child-raising, festivals, nursery school. Bookmark the permalink.